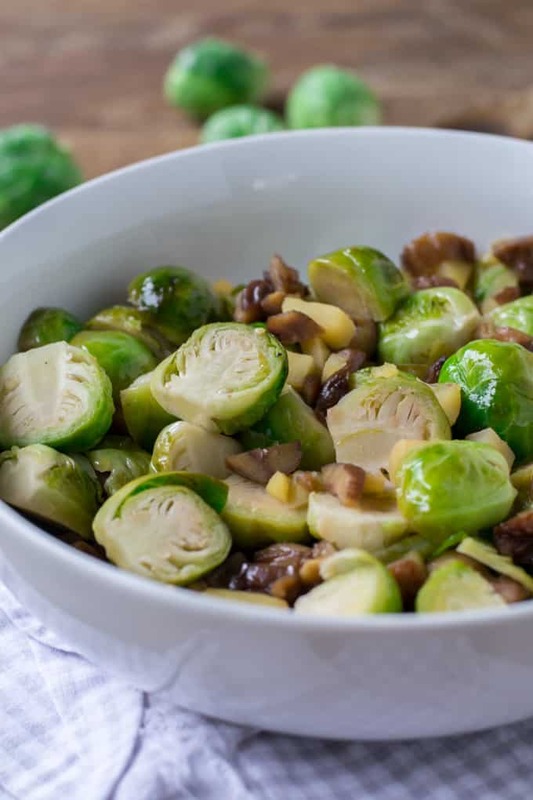 Brussels sprouts and chestnuts are a classic combo. Here they get a new groove with apples and a sweet butter glaze. 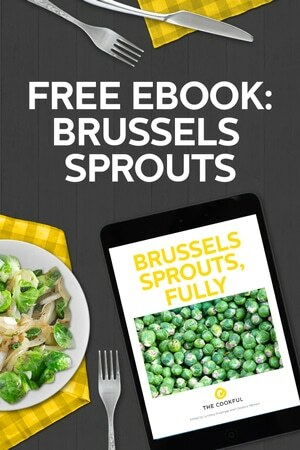 Most people either love Brussels sprouts or hate them. 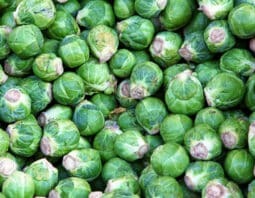 If you don’t like Brussels sprouts it’s probably because you are having nightmares about how they tasted when you were a kid. But don’t fear! Once you give these tasty baby cabbage cuties a try again you’ll wish you’d given them a second chance a lot sooner. 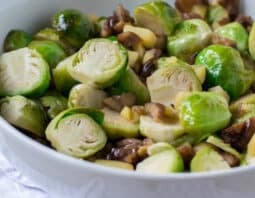 These Braised Brussels Sprouts with Apples and Chestnuts make the perfect side dish for any holiday gathering. And wouldn’t it surprise your family if you served these after years of refusing to eat them? Not only are these Brussels sprouts tasty but they’re so easy to make too. The secret is using chestnuts that you buy already roasted and peeled which saves a ton of time. Jarred or vacuum packed chestnuts can usually be found seasonally at most grocery stores and are the perfect compliment with these Brussels sprouts and apples. Braised in apple cider and tossed with a brown sugar glaze, Brussels sprouts don’t get much better than this. Once you give these Brussels sprouts a try you’ll be making them again and again! Melt 1 tablespoon butter in a large skillet over medium heat. Add Brussels sprouts and apples. Season with salt. Cook for 4-5 minutes until apples are slightly tender. Add apple cider. 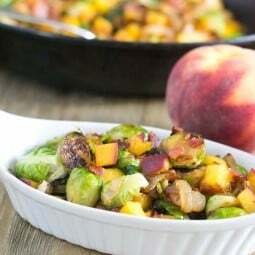 Cover and reduce heat to medium-low and cook for about 10-12 minutes until Brussels sprouts are tender. Meanwhile, melt remaining butter in a small saucepan over medium heat. Stir in brown sugar and cook until sugar is dissolved. Remove from heat and set aside. When Brussels sprouts are tender stir in chestnuts and melted butter mixture and gently toss to coat. Season with additional salt to taste if desired. Serve immediately. Jenn is a busy mama of 5-year-old twins and the creator of the food blog Mother Thyme, where she shares easy family-friendly recipes that combine fresh ingredients with common items already on hand. This pasta-loving mama has a weakness for simple garlic spaghetti loaded with a ton of freshly grated cheese and admits to putting herself in time out with a box of Twinkies #dontjudge. I never tire of Brussels!! Chestnuts remind me of my childhood and my grandpa. What a great way to use them in this recipe! 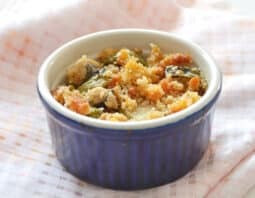 Brussels sprouts are one of my favs, and I can tell that I’d just love this recipe. I think I’d take this over green bean casserole any thanksgiving!